The narrator tells us that he gets rather unnerved whenever he feels a draft of cool air. It frightens him. He then relates the tale of how it came to frighten him. It was a while back when he had taken to a boarding room while in New York City, working a writing gig. He stayed in a place that wasn't the pits but was still rather bleak. One night, he smells ammonia and sees something leaking from the ceiling. He alerts his landlady who promptly goes up to the tenant about him. The landlady explains that a doctor lives there and he is eccentric and always doing strange experiments that require him to keep his place cool. Some time after this, the narrator feels a heart attack set upon him and he rushes upstairs to try to ask the doctor for help. The doctor allows him to enter the apartment where the narrator feels the cool air and the cool touch of the doctor as well as the fine set up of the apartment. The doctor aids him in recovering and the two begin talking regularly. The doctor shares his philosophical viewpoint that his beliefs mere willpower can keep a body alive, regardless of how poor the body becomes. He explains he had studied under another doctor years ago and they he has continued to study this path for decades. As the relationship continues, the old doctor becomes increasingly strained by his age and failing body but refused to discuss it. It's clear that something is happening and the doctor has made his room even cooler and cooler until it's below freezing at times. However, one night, the narrator hears the man stamping the floor above and he rushes up to see him. He discovers that the generator has broken down. The narrator frantically tries to get someone to fix it but it is the middle of the night. The doctor yells and screams for something to be done and retreats to the bathroom. When he comes back out, he has his eyes covered and it's not clear if they are still there or not. The doctor finally tells the narrator to get ice for the doctor, which he does but he needs to keep getting ice. When morning comes, he tries to hire someone to bring ice to the doctor while he tries to find someone to fix the generator. When he finally does, they return to the apartment, but it is clear that the person he hired to bring ice, stopped after the second round. When they finally open the doctor's door, it is a bizarre mess of sludge and ooze. It's clear the doctor came out of the room, locked the door, wrote a note, and then collapsed on the couch--though it's hard to make sense of the remains of the body. The narrator reads the note wherein the doctor explains that he had been using his will to keep himself alive now for eighteen years but he no longer could do it. I rather liked this tale. It had an interesting and slightly flipped premise. Who's afraid of cool air? 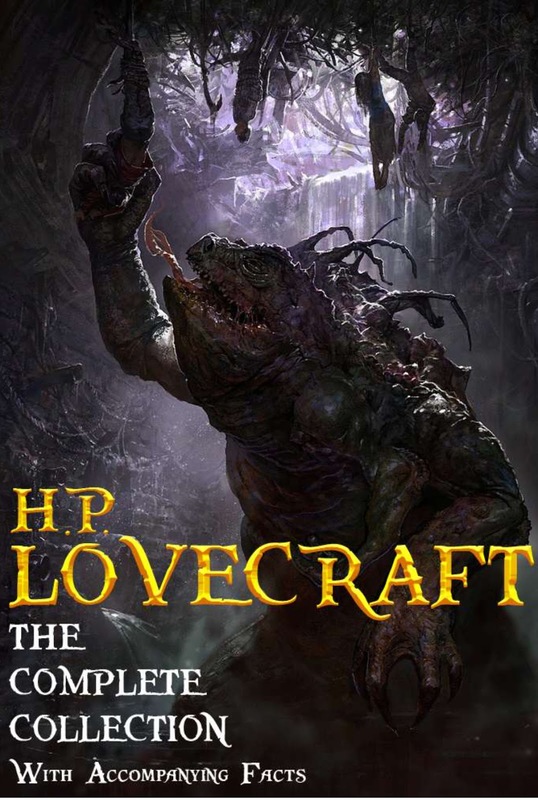 It was set in the middle of the day and in the city as opposed to many of Lovecraft's other tales. And it had some very haunting moments such as when the doctor goes into the bathroom and returns and the narrator tells us that he never saw the doctor's eyes again. He doesn't tell us happened or what he saw--just what he didn't see. In reading it, I was continuing to try to guess exactly what was going on. I wasn't sure if he was dead or if fighting off an illness. I guess you could say both.